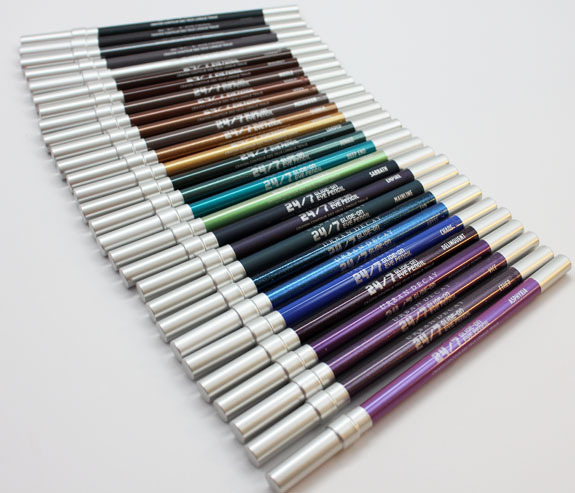 Urban Decay has relaunched their 24/7 Glide-On Eye Pencils and also released THIRTEEN new shades! 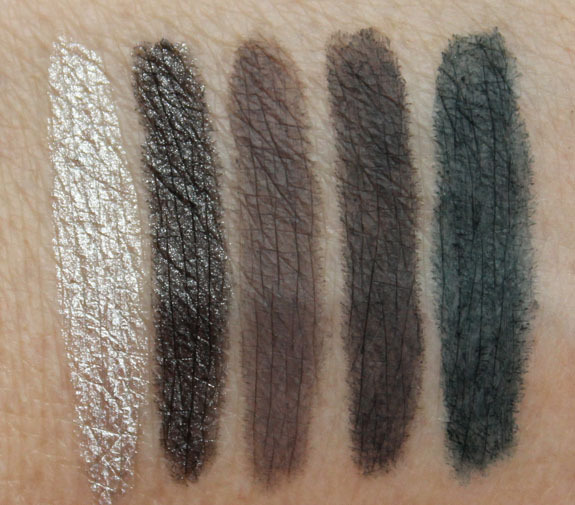 Not only that, they also released fourteen shades that were previously exclusive ones. Fabulous news! 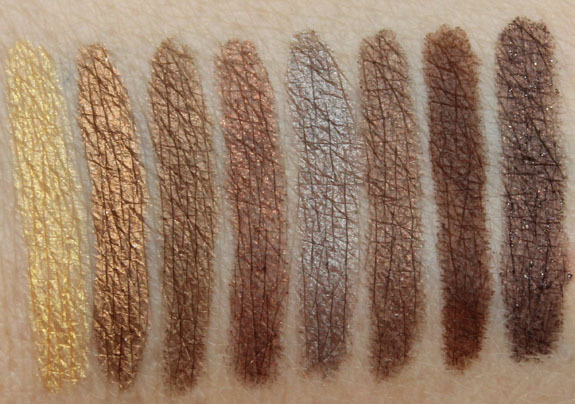 I’ve got quite a few of them for you including all the new shades. 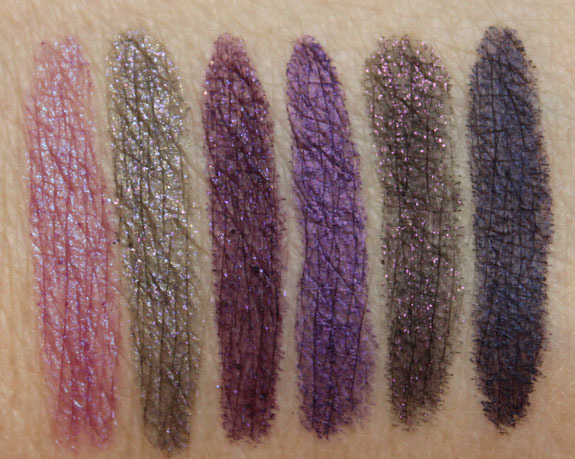 Which I must say, are seriously gorgeous. You will want some! 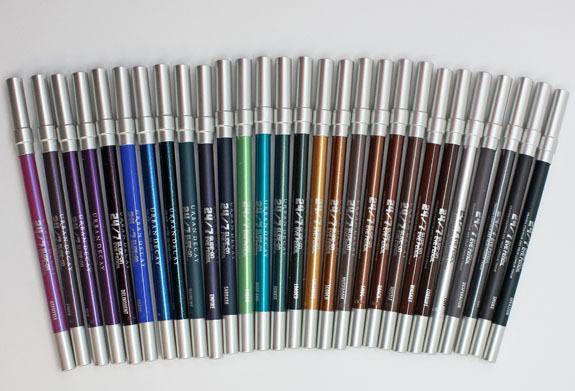 Overall: I have to say I am super impressed with so many of these shades, but especially the new matte ones. 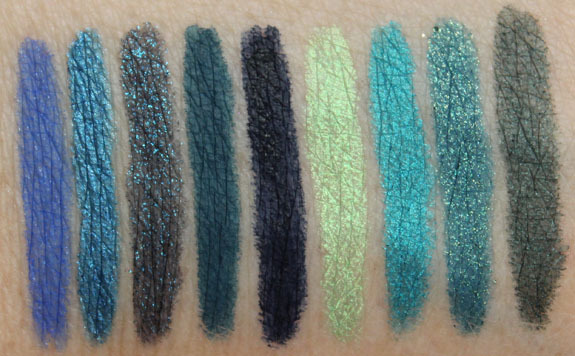 I am a HUGE fan of a matte blue or grey because I can wear them on my waterline, unlike sparkly ones. 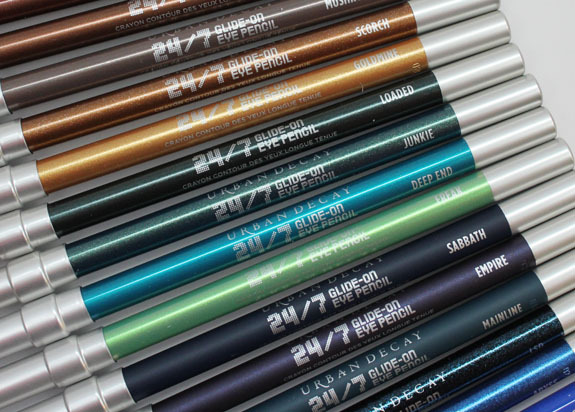 I think there are some really fabulous shades here including Chaos (LOVE a bright cobalt blue, reminds me of my first blue liner when I was 13), Empire, Mainline, Loaded, Uzi, Desperation and Smoke. I love them all to be honest! 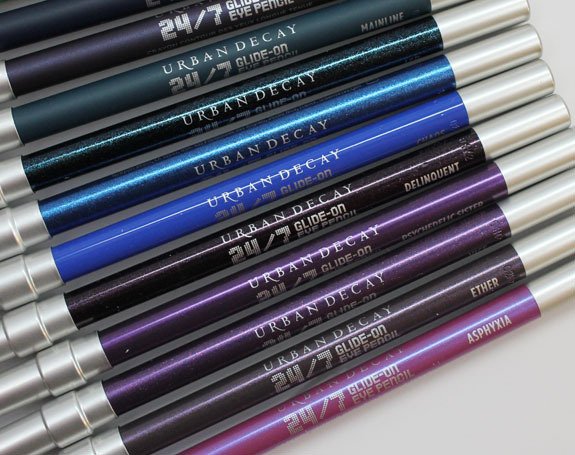 Availability: Soon on Urban Decay, Sephora, Ulta and beauty.com. 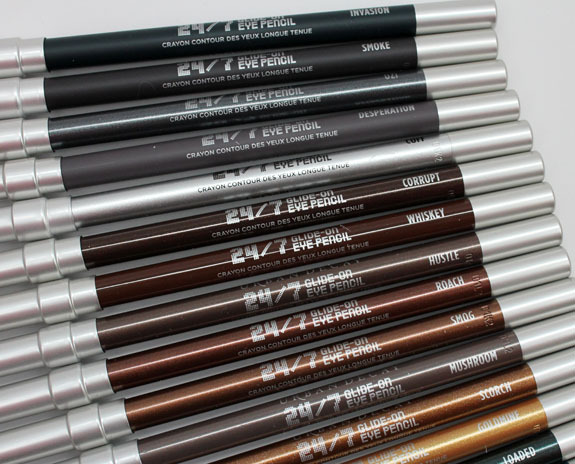 See anything here you are loving and NEED? the most helpful review ever!